The CoWrks Foundry, the accelerator of co-working space provider CoWrks, has processed five startups from its first programme. The accelerator targets companies from sectors such as urban technology, Internet of Things, enterprise tech and clean-tech. The accelerator, launched in mid-June, provides startups with interdisciplinary curriculum, mentorship and seed funding. “The idea behind picking urban tech, enterprise tech and social enterprises is that startups in these areas face industry-specific issues that are not addressed by the existing mentorship,” said Nruthya Madappa, managing partner at The CoWrks Foundry. The CoWrks Foundry plans to have two batches in a year, each spanning 24 weeks. The accelerator is also looking to increase the number of startups in a batch to 8-10 from five currently. 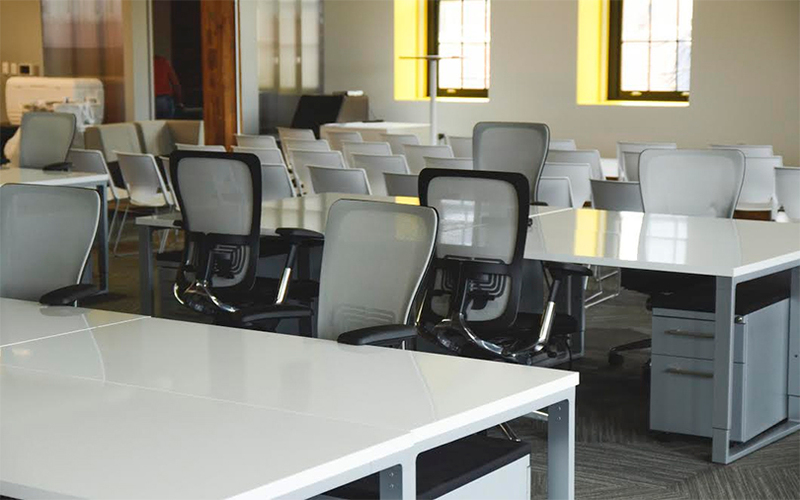 The first cohort’s startups had access to working space at CoWrks, money and key people. According to Madappa, the startups will get guidance from mentors for four to five years. The startups will also get an opportunity to pitch their products to potential investors and clients on Wednesday in Bengaluru. UnderstandBetter: Owned by Aieda Technologies Pvt. Ltd, Chennai-based UnderstandBetter offers a personalised employee feedback platform. UnderstandBetter was founded in 2016 and is led by two women: CEO Pankaj Harita and CTO Swaathi Kakarla. It counts Karthik K and Varun Raj as advisers, according to its website. Ayasta: The Hyderabad-based company was founded in 2017 by Raghu Kumar Manchukonda, Ravi Teja Avasarala and Saideep Reddy. The company aims to infuse electrical infrastructure with intelligence by using technologies such as the Internet of Things, machine learning and computer vision. Computer vision is a field of computer science that works on enabling computers to see, identify and process images in the same way that human vision does. According to Ayasta’s LinkedIn profile, the company is working with Indian Fortune 500 and Forbes 2,000 companies in the oil and gas, energy and pharmaceuticals sectors. The company claims to have generated more than $10 million in value to customers by improving efficiency and boosting safety. TScaleHub: The Bengaluru-based company was founded in May 2018 by Nagalapuram Harshvardhan and Pravasith Kumar. It’s a marketplace for architects and product vendors. The company provides an online portfolio platform to architects, interior designers, and students pursuing architecture. The platform enables the users to showcase the physical and technical aspects of their work to the architecture community. Wagonfly: The Bengaluru-based company was founded this year by Raghavendra Prasad, Nirantar Rabade and Kapil Katiyar. The Internet of Things firm is into store and inventory management. Betterly: Operated by Neurocepts Wellness Ventures Pvt. Ltd, the Bengaluru-based company was founded this year by Sandeep Malhotra and Lakshmi Sreenivasan. The firm helps improve the well-being of a person by teaching various exercises and offering support from a qualified coach.